The office isn’t the harmless workplace it seems to be, especially not when ergonomics isn’t taken seriously. Since most of the time of the worker in the office is spent behind a desk both over work and having meals, in the company of technology, it’s natural for certain issues to appear as a result of poor posture and repetitive movements. One of the modern problems associated with this kind of work environment is back pain, and while it can start off as slight discomfort, it can just as easily turn chronic or even lead to several other aches and pains, headaches, neck and shoulder aches included. If you don’t want your work to be a pain in the neck (pun intended) all it takes is acquiring the adequate ergonomic office chair to prevent it or at least improve it. Since we’re all different, what’s ideal for one may not be so for another, which is okay since specialised stores have plenty to offer when it comes to chairs, differing in styles, materials, depth, width, support and features like adjustability. 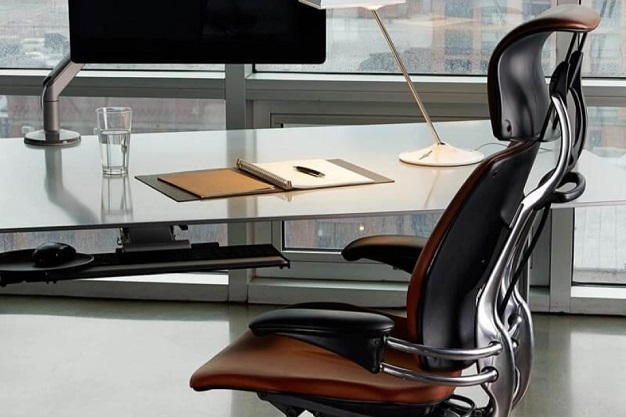 To make the best of the ergonomic office chair it’s advisable to pair it with an ergonomic desk, preferably height-adjustable so you can alternate between sitting and standing – the best of both worlds. Why standing while working? It’s a great change from all the sitting, and is important given the many benefits it brings about, one of which is increased productivity. Ergonomic accessories aren’t to be overlooked either, they were created to make your work easier in the office after all, while providing you comfort at the same time. 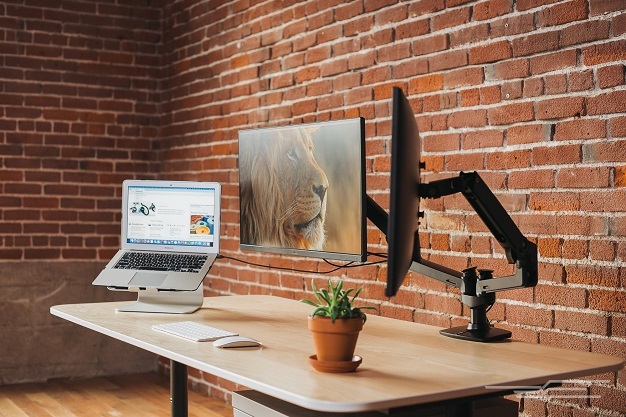 A great example would be the monitor arm, allowing you more flexibility with the monitor, and of course, helping you get rid of neck and eye strain. Another problem that might cause trouble is overreaching that can easily put pressure on tendons and joints, so this shows ergonomics goes beyond the introduction of adequate furniture and accessories, making the positioning of the gear just as important; Mind where you keep your mouse, keyboard, smartphone, documents and the like! Additional aspects that are equally crucial are lighting, temperature, humidity and air quality. If you can’t have as much natural light as possible, at least count on energy-efficient lighting options that aren’t straining for the eyes; A nice example would be LED bulbs. It may be difficult to agree on the appropriate temperature, having in mind women feel colder than men, but the ideal would be between 20 and 25°C, while humidity ought to be from 20 to 60%. As for the air quality, plants always make a great ally, especially when you find the best of both air purifying and low-maintenance, such as snake plants and peace lilies. Improve office ergonomics and you can be sure you’ve taken care of your well-being.